Kamakura is the place where the samurai, led by Minamoto no Yoritomo, established the first samurai government in Japan, which marked a revolutionary change from the aristocratic rule that prevailed before that to the samurai’s sovereignty. 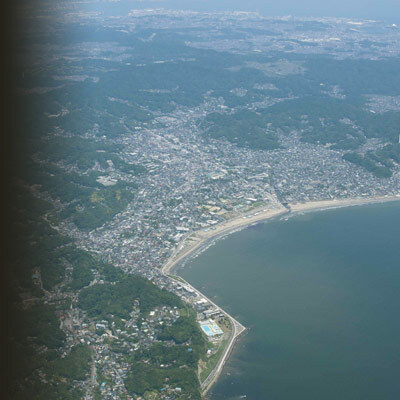 The samurai took advantage of the defensive natural landforms of Kamakura, “encompassed by mountains on three sides and one side open to the sea” and placed important administrative, defensive, and logistic centers such as Shinto shrines, Buddhist temples, samurai residences, “kiridoshi” passes (transportation routes), and a port in functional locations. Many of these central facilities were built in the spaces that were produced out of the mountain areas, mountain foot land, or valleys that were characteristic landforms of Kamakura by fully employing the most advanced civil engineering techniques at that time. As a result, the Buddhist temple complexes of the early large-scale Zen Buddhist temples of Japan and the distinctive government seat that exhibits unique shrine/temple landscapes in unity with the mountain area were formed in Kamakura. “Kamakura, Home of the Samurai” is the rare government seat that was constructed in a functional manner by the samurai through active intervention on natural landforms. The samurai, who established its own government in Kamakura introduced Zen Buddhism from China actively and built the spiritual foundation such as their own ethics and code of practice based on the emphasis on simplicity and sturdiness, successfully strengthening their power and creating their own unique “samurai culture” at the same time. The devout samurai constructed many Shinto shrines and Buddhist temples, which played central roles in the creation and development of the samurai culture. 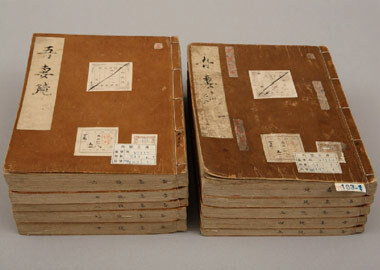 The rule of the country by the samurai continued in Japan for approximately 700 years up to the end of the Edo Period. This was the longest period of the existence of a government established by a warrior class in the history of the world. During this period, cultural traditions such as Zen and Tea that are deeply rooted in the present Japanese culture were conceived and nurtured. “Kamakura, Home of the Samurai” is the starting point of the nation-wide rule of Japan by the samurai and the testimony of the creation of the samurai culture in this place, including the social system therein as well as new cultural aspects. In order to be included on the World Heritage List, sites must meet at least one out of ten selection criteria of the Operational Guidelines for the Implementation of the World Heritage Convention (UNESCO). “Kamakura, Home of the Samurai” is the starting point of the samurai government, independent from the imperial court and testimony of the creation of the samurai culture which was born under the rule of the samurai government. Furthermore, it was developed as the seat of the samurai government by selecting the defensive topography, “enclosed by mountains on the three sides with one side open to the sea”, using the most advanced civil engineering techniques at that time to work actively on natural landforms, placing shrines/temples and functionally important facilities in unity with the natural landforms. “Kamakura, Home of the Samurai” is a rare example of a type of government that was developed functionally by the samurai by actively making use of natural landforms. For these reasons, “Kamakura, Home of the Samurai” is considered to satisfy criteria (iii) and (iv).